Q How do you see the unfolding political situation in the country in the aftermath of the President’s outburst? For the last 12 months after the General Elections, people had fresh hopes as promised by the UNP-led government. The Joint Opposition, both during the 100-day program and after, held that the extra and special mechanisms created with the intention of political victimisation of the opposition should not be pursued against politicians, security forces personnel and others. But, this continued unabated. According to the President’s clear statement, he has understood what we said. He has especially referred to the attitude towards the former Defence Secretary, the retired navy chiefs, army personnel and others. It seems that various groups, with vested interests were taking decisions. This is a serious statement for the President of the country to make against the backdrop of political problems within the government. It has been taken seriously both locally and internationally. Q Where will it end in your opinion? There will be attempts to patch up. The UNP and the President’s group may try it out. They will try to cover up the issue because both sides want to govern. Yet, it is crystal clear that there is a crisis. If they are to run the government, there will be efforts to avoid open confrontations as much as possible. However, the problems remain unresolved. They cannot be resolved in that sense. You see now there is a committee appointed to look into the budget. The committee representing the UNP, the President’s group and the Finance Minister, is meeting. It means there are issues yet to be agreed upon by all. Unanimity is absent. Q How does the Joint Opposition respond to the situation? We maintain what we have been agitating for. We have aired out our views over the last 18 months regarding the violation of democratic norms, practices and procedures, political victimisation of MPs and other opponents, government servants and others. We have held the correct position. We will now ask the President to put into action what he said. Otherwise, the President’s statement will sound hollow. Q Some people talk about the possibility of a change of government. How realistic is it? This is not a one party government. It is also not a two-party government. There are differences emerging as the problems increase in the country. There are issues confronting the armed forces that resurrected the country from the scourge of terrorism. We have issues on the economic front. Economic mismanagement is serious. As a result, the cost of living is going through the roof. Public hopes are shattered. 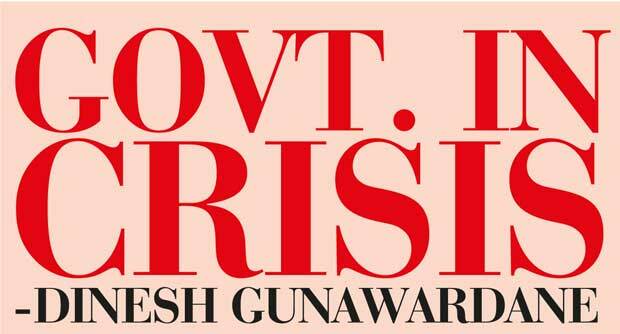 Waste and corruption in the Central Bank bond issue have exposed the government. The government is unable to face people at the local government elections. All these add up to a situation that exerts immense political pressure on the government MPs and political groups. New differences will emerge further. If it aggravates, the government will not be able to run with a majority. This is what people talk about. Q How ready is the Joint Opposition to give leadership to it? The Joint Opposition is the leading force against this government. It is a known fact in Parliament. It is a fact known to the general public. 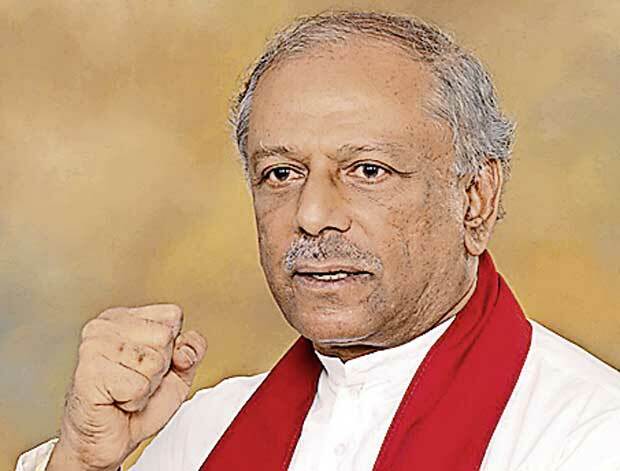 It has emerged as the biggest political force to reckon with, challenging the UNP-led government. We, under the leadership of former President Mahinda Rajapaksa, will harness the situation. We are not getting excited for the sake of emotional outbursts. We know the crisis is much more severe underneath on all accounts be it social, economic or political. Q Apart from that, you participate in the deliberations of the Steering Committee assigned for evolution of constitutional proposals. How far have you progressed? The Constitutional Assembly has met only once. The Steering Committee has been meeting. They deliberate by getting reports from various experts and advisors. The subcommittees, comprising MPs, were appointed. They have reported to the Steering Committee. On the key issues, the Joint Opposition has taken stands. We have submitted our proposals highlighting the areas that should not be compromised at any cost. One is the unitary state. It should never be compromised. Then, we have stressed the importance of supremacy of Parliament and the need to change the Executive Presidency. The Provincial Councils can be considered without endangering the unitary state or the national security of the country. We have clearly taken positions that the north and the east should not be merged. It should not be allowed at any cost. A mixed system of electoral reforms should come. The local authorities should be given more powers. The Prime Minister should be elected by Parliament. There is a firm no to land alienation to foreigners. The Joint Opposition members and other members of the committee have big differences. That is the status quo. As the Chairman of the Steering Committee, the Prime Minister, said a report would be submitted to Parliament. Finally, the House will have to decide on the report. The Joint Opposition’s position is clear. Q How confident are you that a new Constitution will be a reality in Sri Lanka? At the rate things are moving, how can a constitution be enacted against the wishes and will of the people? Q But, the government has a two-third majority in Parliament? The government may be having a majority. They have to refer it to the people at a referendum. If they cannot get public approval at a referendum, the government will not be able to make it. We have a clear stand. We have taken uncompromised stands regarding certain matters. The government cannot ignore our position. Q Do you believe whether the government will devise means to avoid a referendum? How can they do it? It cannot be done. The present Constitution clearly says any amendment to certain provisions of the Constitution need a referendum. In the resolution adopted by the Constitutional Assembly, it clearly says the proposed constitution will be drafted based on the Steering Committee only if it is approved by two-thirds. Otherwise, the whole process ends there. It is spelt out in the resolution. Then, if they get two-thirds for the draft, it should be concluded, referred back again to Parliament. After that, it should be referred to the people at a referendum. That is there in the resolution. The government cannot violate the basic principles of the resolution and the Constitution. Q In the Steering Committee, how accommodative is the government in incorporating your proposals? Of course, they listen to all. As a result, nothing is finalised. The government must be having its own plan. We know that. In addition to the local component in making this constitution, the western powers are also interested in creating a Federal system. The Joint Opposition has rejected such a system. A number of members of the government have also rejected it. Q Then, it is unlikely that the process will make its way through Parliament? It should be unlikely. No MP wants the unitary status of the country to be compromised for the installment of a Federal System. Q But, there is a perception in the country that the government will do away with labels such as Unitary and Federal. In fact, one MP of your side charged that the government was trying to bring a constitution which is Unitary by name, but Federal in content. What are your views? That is not so easy. That is the reason for us to take a stand. The unitary state should not remain only in the name board. It should be there with substance. Relevant safeguards should be there as in the present constitution. There is a famous judgment. It is not an easy thing to hoodwink masses on constitutional matters. If it is attempted, it will be exposed overnight. There is speculation thought that the government will try something.The Joint Opposition is clear that Article 9 related to the status accorded to Buddhism should not be touched. It applies cutting across the country including the North and the East. We condemn Northern Chief Minister C.V. Wigneswaran’s statement on the erection of Buddha statues. The government is not in a position to do what is not acceptable to the country. Q You were involved in working electoral reforms at one time. What is the latest stand at the Steering Committee? There is general consensus on the electoral reforms. It is a mixed system to elect more from the First Past the Post System (FPP) and less from the National Proportional Representation System (PR). Perhaps there might be another level proportional representation. All will appear in the report. The positions regarding electoral reforms, the executive presidency, devolution and the nature of state should be agreed upon. Q Besides, you raised questions about those affected by the explosion of the armoury at the Salawa military camp. What is the latest situation there now? Six months has already lapsed. The inquiry report has not yet been publicised. It is a major explosion. Secondly, some people have not been compensated to rebuild their homes and businesses. The situation has not been properly addressed. It is same with the Aranayake incident. These are the two main disasters-one natural disaster and the other a man-made disaster. In the latter, the Army is not responsible it is the government then. The government cannot bluff. The Army camp should be relocated. This entry was posted on Tuesday, October 25th, 2016. You can follow any responses to this entry through the RSS 2.0 feed. You can skip to the end and leave a response.